Showing results for tags 'whitecaps'. Full press release of Alphonso Davies citizenship announcement below: Canada Soccer welcomed Alphonso Davies as a new Canadian after the young footballer took his Oath of Citizenship at his Canadian Citizenship Ceremony. 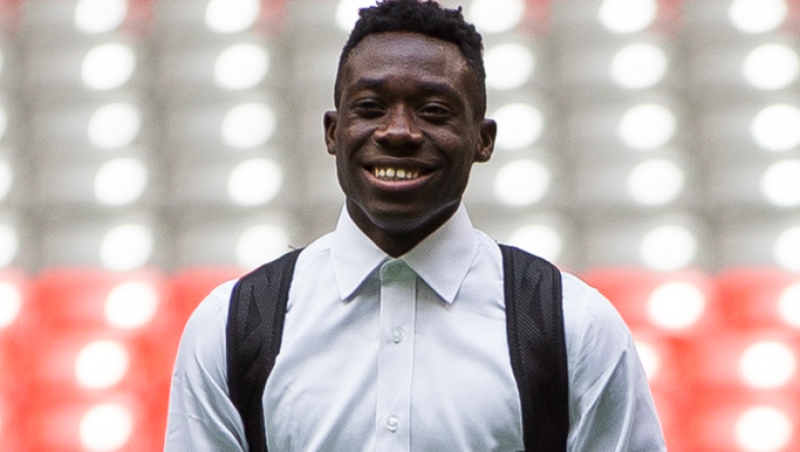 “I am overwhelmed and I am glad I can make my parents proud by becoming a Canadian citizen,” said Alphonso Davies. “It has been a long journey becoming a Canadian citizen.” The 16-year old midfielder, who has been part of Canada Soccer’s Men’s EXCEL Program since 2014, can now officially accept his first call up to the National Team Program ahead of a Men’s International Friendly match in Montréal. “We are very proud to welcome Alphonso Davies into our Men’s National Team Program as a full Canadian citizen,” said Steve Reed, President of Canada Soccer. “Coming up through Canada Soccer’s youth system, he has worked hard to achieve his success and he will be a big part of our future.” Davies departs for Montréal where he will join an extended Men’s National Team roster training in Laval ahead of the 13 June 2017 Men’s International Friendly. He will look to impress the coaching staff with hopes of making the final squad for the match at Stade Saputo: from the full group of 28 players, Head Coach Octavio Zambrano will reduce the number of players on Friday 9 June after a Thursday intra-squad match. “I am really excited to be called into Canada Soccer’s Men’s National Team,” Davies said. “Canada Soccer worked extremely hard to get me where I am right now and I am very grateful. I am really glad they took their time and put the effort in me in helping me get my citizenship.” The international match is part of a three-match Summer of Soccer Series in Canada which includes a pair of Women's International Matches in Winnipeg and Toronto. The Women's National Team has matches against Costa Rica on 8 and 11 June ahead of the Men's National Team's return to Montréal on 13 June. All three matches will be broadcast live on TSN. Davies has been a part of Canada Soccer’s Men’s EXCEL Program since 2014 when he was just 13 years old. He is currently a professional player with Vancouver Whitecaps FC. After making his pro debut at age 15, he became the youngest goal scorer in the history of the Canadian Championship at age 16 on 23 May 2017. Before moving to Vancouver in 2015, Davies grew up in Edmonton, Alberta where he played for Edmonton Inter, Edmonton Strikers, FC Edmonton Academy, and St. Nicholas Soccer Academy. He was just five years old when he arrived in Canada, living briefly in Windsor, Ontario before moving out west to Edmonton. 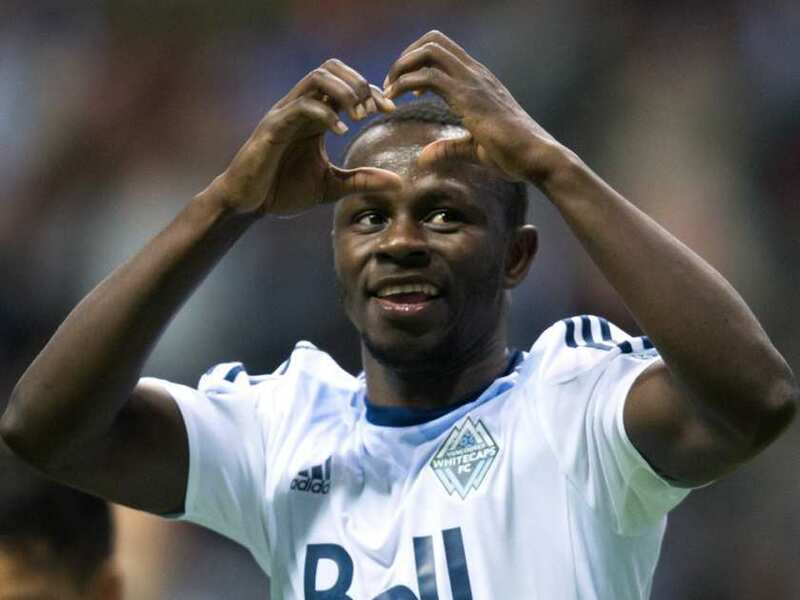 The Vancouver Whitecaps pulled the trigger on a significant trade today, sending Kekuka Manneh to Columbus for Tony Tchani, $225,000 in TAM and $75,000 in GAM. The move is a difficult one to fully handicap until we know what the Caps plan to do with the allocation. We can assume that they are looking to address the attack with a TAM player, but the Caps have surprised us before. The GAM is also likely tied into bringing someone in, with the TAM largely covering the transfer. In moving Manneh, Vancouver have parted ways with one of the league's biggest enigmas. There have been days where he has looked like a potential Best XI player in the league and there are days when he was mostly invisible. However, his speed down the wings was a big part of what the Caps did on attack and there isn't an obvious way to replace that without assuming that a 16-year-old is ready to play 34 games in MLS without a mental or physical break-down. That's a lot to ask of Alphonso Davies. Tchani isn't the same player. You can likely assume he'll line up beside Matias Laba and give the Caps a fairly tidy looking cover in front of the back-line. Tchani is also a decent passer and, if Davies or someone else steps up to create similar width as Manneh did, then he could turn out to be a nice piece. Still, it's hard to ignore the Golden Rule of evaluating a trade -- who got the best player? That would be Columbus. The only caveat to that is whether said player is going to stay for the long run and there is indication that Manneh is looking longingly at Europe. His stay in Ohio may not be long. There are reports that the Caps negotiated a sell on clause in the trade and will receive some of the allocation money provided if the Crew do sell him. Bottom line: The Whitecaps haven't looked right since about July of last year. Manneh was a huge part of their identity as a club and it might just have been time to shift gears. The Crew, meanwhile, think of themselves as a contending team in 2017 so a short term rental makes sense for them. Until we see what the Caps do with the money, let's call this one a draw. As most know, the Vancouver Whitecaps became the third Canadian team to reach the CONCACAF Champions League semi-finals after their two leg win over the Red Bulls last month. In doing so they added to Canada's argument to be seeded in the new format, which starts later this year. With 16 teams in the knock-out phase it's hard to argue against Canada being placed in the top eight, actually. Gaining more spots is another story. Let's wait until the Canadian Premier League is involved before opening that can of worms. 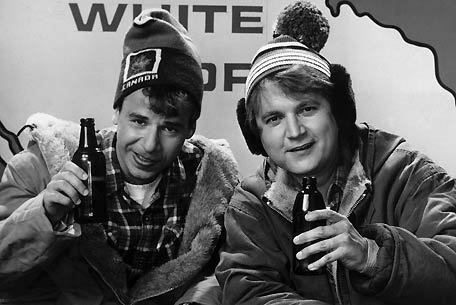 At any rate, if the Whitecaps are to become the second hoser squad to make a final they have their work cut out for them. They have drawn Liga MX power Tigres -- they of three Mexica titles since 2011 and fresh off a CCL finals appearance. In the requisite YouTube hype video released today the Caps have called the match-up David v Goliath. That might be doing a disservice to Goliath. Speaking of the hype video: I'll leave it up to you, dear reader, to decide whether a team that claims it plays in #SoccerCityCanada (which by virtue of that claim means that they think the city you live in isn't) is deserving of #Canada4Caps. No one should feel an obligation to cheer for a club team just because they play in the same country as you, even if there are only five fully professional teams in your country. I doubt many Caps fans were cheering for TF...actually they might have been because, well. Seattle. That was a bad day for them, wasn't it?. If you do watch that video you'll note that it appears that the Caps are now fully boarding the Alphonso Davies hype train. Not gonna lie, the idea of seeing Davies line up against a top Mexican side is very appealing. Unless he decides to represent Liberia. I'm sure it will be fine. The two big off season acquisitions of Sebastian Giovinco and Jozy Altidore connected to help Toronto FC rally to defeat the Vancouver Whitecaps 3-1 at BC Place on Saturday. The match highlighted what both squads’ new designated players were capable of. Whitecaps DP Octavio Rivero made his presence felt in his debut when he nearly scored in the ninth minute. But the Uruguayan missed the tap in from less than six yards from the net. Rivero bounced back ten minutes later by making the most of the space left by Toronto’s high back line. Defender Pa Modou Kah sent a long ball to the left flank for Rivero who needed just two touches before slotting it past keeper Joe Bendik. Vancouver controlled the pace for most of the first half and left Toronto looking slow in defense. TFC’s back line played high which gave the Whitecaps plenty of space in transition and a handful of solid scoring chances off the break. Offensively, the Reds had a difficult time of creating opportunities the final third and found themselves knocked off the ball. In the 32nd minute TFC were able to string together a sequence of clean touches in pursuit of an equalizer. Jonathan Osorio fended off fellow Canadian International Russel Teibert and slipped the ball to Giovinco. The Italian threaded a pass, which appeared to be intended for Robert Findlay, through three Whitecaps. However Findlay lost his footing which created space for Altidore to run in. The American stepped by keeper David Ousted, and knocked off a right footed shot to the bottom left of the goal. Despite the scoreline at the half, Toronto FC appeared badly out-paced. The pace of the match changed considerably in the second half in favour of the Reds as Vancouver wasn't able to break out in transition as easily as it had during the first 45. Toronto took advantage of the swing in momentum in the 59th minute. Bradley sent a ball from just inside the defending half to Benoit Cheyrou up the middle. Cheyrou found Brandon Morrow on the run on the left flank. He sent a low cross to Findlay who crept behind the Whitecaps defense to score from close range. The Whitecaps threatening presence from the first half seemed to have disappeared. In the 89th minute substitute Collen Warner fed a long range pass to the top of the box for Altidore who was hauled down in front of the net by Kah. The Gambian was shown yellow for his challenge and TFC were awarded a penalty shot. Altidore stepped up and converted a cheeky chip straight down the middle from the spot over Ousted for his second of the contest, matching his total during his time at Sunderland. This is Toronto FC’s first MLS regular season win at BC Place. Toronto continue its seven game road swing March 14th against the Columbus Crew. TFC Fan 1: Hey, do you remember that time we made the playoffs? TFC Fan 2: No, that's ridiculous, what are you talking about? TFC Fan 1: Oh, yeah, that's right. ... I momentarily forgot that I support a historically unsuccessful team. Still we did win a few Voyageurs Cups! TFC Fan 2: Yeah, but that's easy. TFC Fan 1: So easy that the Vancouver Whitecaps have never done it in a decade of trying! TFC Fan 2: What do you mean? Surely that's impossible? TFC Fan 1: No, I'm not joking. They've actually never won. Even though there was a time it was literally only contested by two teams. TFC Fan 2: Huhn, that's funny, 'cause I'm sure I read an article by a Vancouver fan taking elaborate, unearned shots at TFC. TFC Fan 1: Yeah, it's one of those strange things. They seem to think that 5th place is a trophy. TFC Fan 2: Mountains are nice though! TFC Fan 1: Yeah, if you're into that. Happy New Year's everyone!